Feeling like something is emerging in your life but not sure what? Wanting to engage with your inner critic in a more fruitful way? Are you a coach or therapist looking to deepen your own personal development? Wanting to free yourself from the hamster wheel of self-improvement and deepen into life? Angella Okawa, MA offers private Integral Unfolding sessions for individuals by phone, Skype or in-person (Berkeley and Sacramento, CA). 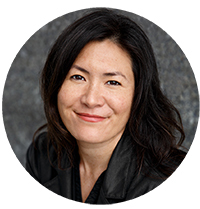 Angella combines Steve March’s Aletheia School of Integral Unfoldment method as well as her training in depth psychotherapy (Jungian), the Hakomi Method, a body-centered mindfulness based psychotherapy, and Recreation of the Self.